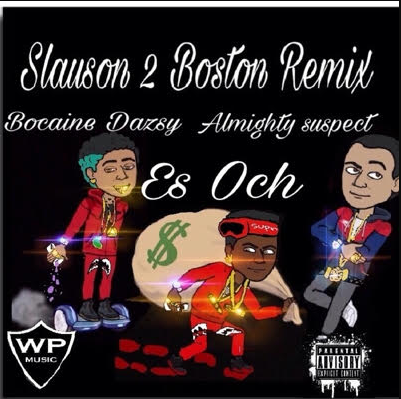 ES Och is joined by Bocaine Dazsy & AlmightySuspect in the new video for "Slauson to Boston" and this thing slaps. The bouncy party anthem is also backed by a visual that reciprocates the feeling in a house party type of environment. ES Och has only been rapping for a couple of months but Slauson to Boston is gaining viral attention. Och grew up in the Nickerson Garden Projects of Watts, California where he first gained his passion for music and streets. Although music was always an interest, ball was Och priority and after a full season of playing at the collegiate level, he decided to put the ball down and pick the mic up. This transition is going smoothly for Och who seems to have made the right decision. Expect more coming from ES Och in the future but for now, turn up to "Slauson to Boston" below.